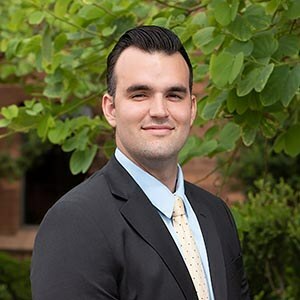 Grant received a full-tuition scholarship to attend Sandra Day O’Connor College of Law, ASU. During law school, Grant served as the Assisting Managing Editor of the Sports and Entertainment Law Journal. He was recognized as a Willard H. Pedrick scholar for academic excellence and received the CALI award for top grade in Legal Advocacy. Prior to joining the firm, Grant served as a Judicial Extern for Judge Ballinger and Judge Nielsen on the U.S. Bankruptcy Court, as well as for Judge Boyle on the U.S. District Court for the District of Arizona. He also worked as a Law Clerk at Chernoff Law Firm, PC. Most recently, Grant clerked for the Honorable James P. Beene on the Arizona Court of Appeals. When Grant is not working, Grant enjoys traveling and spending time with his wife and son. He also enjoys playing, coaching, and watching basketball.